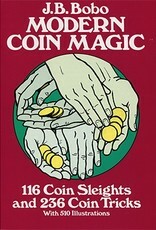 All the tested, traditional methods of coin magic are here. Bobo has added to these the best of the modern innovations, while eliminating all the out-of-date and impractical sleights of his sources. 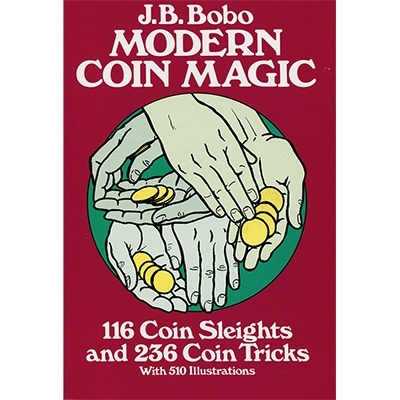 You will learn all about palms, holds, flips, switches, change-overs, steals, cuffing, sleeving and other sleight-of-hand techniques; coin tricks requiring special devices are also included. The author guides you systematically from basic techniques, concealments and vanishes, through integrated tricks, to complete routined acts (18 in all). His clear explinations are splendidly complimented by 510 Illustrations.